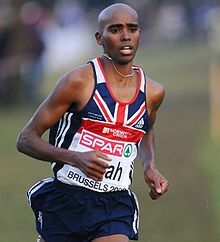 Mo Farah is a British double Olympic champion middle distance runner. In the London 2012 Olympics, Farah won gold at 5000m and 10,000m – making him one of Britain’s most successful distance runners of all time. He then duplicated this feat at the 2016 Olympics. He currently holds the British record for 1500m, 5000m and 10,000m – and has recently graduated to the marathon distance. Farah was born in Mogadishu, Somalia, on 23 March 1983. But, due to fighting in the Somali capital, the family moved north to Djibouti where he was looked after by his grandparents with his twin brother. His father was at the time working at Heathrow airport as a general assistant and would sometimes visit, bringing gifts from England. After Feltham, Farah went to the Endurance and performance coaching centre at St Mary’s University, Twickenham. To support himself, Farah worked in fast food restaurants and as a sales assistant for sports retailer, Sweatshop. During this time of his life, Farah admits he wasn’t the most disciplined athlete. He would get up late and had a busy social life apart from his running. 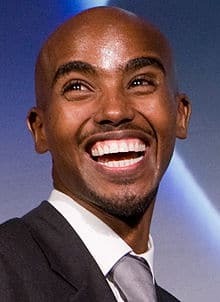 However, when he was 21, (around 2004) Farah moved in with a bunch of eager and disciplined Kenyan runners (such as Micah Kogo and Benjamin Limo) who lived at 59 Park Road. This showed Farah he had great natural talent and also inspired him to take a more disciplined and determined approach to his running. On the track, he was gaining international section and in 2006, he won his first European gold medal at the 10,000, cross country championships. In 2008, he was selected for the 5,000m in the Beijing Olympics. But, Farah was disappointed to miss out on qualifying for the final. After the 2008 games, Ian Stewart was appointed the head of UK athletics endurance team. He spent time with Farah and encouraged him to be more thoughtful in his training – cut back on miles and try and be fresher for races. With the support of British athletics, Farah also started attending altitude training camps. Following this step up to international honours, Farah decided to take Alberto Salazar has his full-time coach. In 2011, he moved with his wife Tania to Oregon. Tania had a daughter, Rhianna from a previous marriage. Farah raises her as his own. His good performances meant Farah was one of Britain’s top medal hopes for the Olympics. Under a blaze of media interest, Farah was able to win the 10,000m (27:30.42) on a famous night (Aug 4th) for British athletics. It was Britain’s first gold at this distance. A week later, Farah was able to repeat his performance and was able to hold on for the 5,000m – making him a double Olympic gold medallist. Describing the atmosphere in the Olympic stadium, Farah replied. After winning, photos of Mo Farah doing the ‘Mobot’ celebration became an iconic image of the games. Nearly as famous as Usain Bolt in the 100m. He developed the Mobot celebration in May 2012 after appearing on a panel game show host with Clare Balding. Farah is an avid Arsenal F.C. fan. He is a devout Muslim and bows to the ground in prayer after a race. His double Olympic gold has enabled him to gain lucrative sponsorship agreements with companies like Nike, Lucozade, Bupa and Virgin Media. Though he does not disclose how much money he earns, it is estimated to be over £2 million a year. 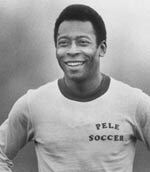 He was awarded a CBE in 2013 honours list. In the 2016 Olympic, Farah completed only the second double Olympic gold of winning 5,000 and 10,000m. In 2017, he announced his retirement from track running to focus on the marathon. Citation: Pettinger, Tejvan. 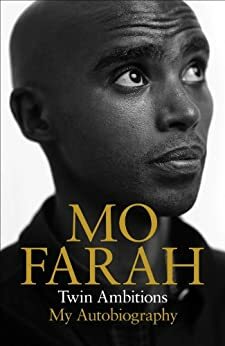 “Biography of Mo Farah”, Oxford, UK – www.biographyonline.net. Last updated 18 February 2018. Selected athlete biographies including Usain Bolt, Carl Lewis and Emil Zatopek.